Colocation services can be referred to as locating one's equipment in a third-party data center. It can be referred as the internet service providers or the cloud computing providers will furnish the space, the electric power as well as the high speed internet links to the internet for customers web servers. A colocation service eliminates in having to build an secure facility that will provide the power as well as air conditioning for a company owned servers. 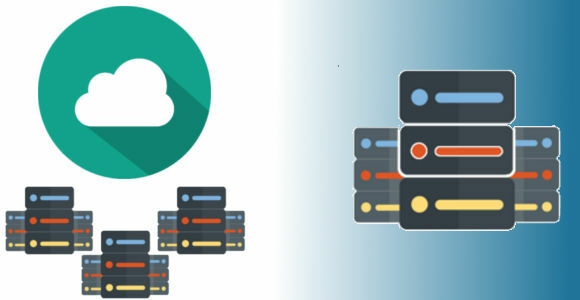 These colocation servers are majorly located near the internet connecting points and this can provide an access to the multiple Tier 1 internet backbones. In a colocation service the equipment monitoring is mostly performed by the customer, a colocation datacenter can offers the equipment maintenance as well as the troubleshooting arrangements. A colocation provider will be renting out space in a data center where the customers will be able to install the equipment, but will also be proving the power, the bandwidth, the IP address and the cooling system which the customers will require so that the customers will easily be able to deploy the server. In a colocation service space is rented out in terms of the racks and cabinets. A rack can be termed as a frame for mounting the equipment as well as the hardware. Equipments that are mounted on a rack can be measured by the rack units where one rack unit is in 1.75 inches. Then the price of a colocation plan is calculated in terms of the number of units that are required. A colocation service allows a customer to be benefitted from the economies of scale which is not available with an in-house option. When a hardware is housed in a colocation center it will give the user the higher level of bandwidth, that can be achieved in a normal housing room with much lesser cost. Your servers and data is protected from power outages as there are a number of backups available in place. Major number of colocation provider will be having a staff for 24/7 so that they can deal with any kind of problems that could arise. Most of the customers opt for a colocation service as it has a great number of physical security that are available in in comparison with in-house hosting. There is an option of CCTV monitoring and lockable cabinets which might not be possible in an in-house system. Flexibility is another major element of a colocation service. A colocation system allows the customer for personalization of their colocation plan and then deciding which aspect of the system they really want to focus on. Having different range of facilities can offer the user the infrastructure which will best suit their budget. A Tier 1 colocation service is more similar to a server room and is most suitable for a small business. While a tier 4 colocation center is more suitable for big corporations with mission critical systems as it has high level of uptime and redundancy. A colocation service allows the user to take appropriate advantage of the data center infrastructure which helps in maintaining the control of the upkeep, maintenance and the configuration of the servers. This can prove as cost effective and it can free up the valuable space in offices. It also saves the resources that would otherwise be spent on dealing with the logistics of keeping the server in an in-house condition. What is Bandwidth for Host?